Unsafe Cleaning Practices | Miami Slip & Fall Attorneys Gerson & Schwartz, P.A. 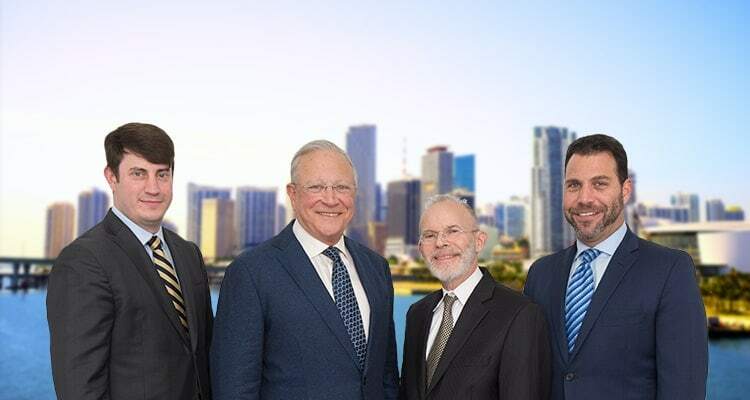 Contact Miami Personal Injury Attorney Gerson & Schwartz, P.A. Key to prevention of slip-and-fall accidents is proper cleaning practices. When businesses follow unsafe cleaning practices, they put their customers and employees at risk. Miami slip-and-fall accident attorneys at Gerson & Schwartz, P.A., recognize that stores and maintenance contractors who fail to use proper cleaning methods may find themselves liable for damages if someone slips and fails. Falls happen when there is a lack of traction or friction between one’s foot and the floor. Although there could be several contributing factors in a slip-and-fall case, unsafe cleaning practices are a common catalyst. Sometimes it occurs because maintenance crews aren’t following specific instructions on how or when a certain type of floor needs to be cleaned. Sometimes workers fail to use the right products. In some instances, the proper cleaning products aren’t made available or clean-up crews aren’t given clear directions. It’s well-established that different approaches are necessary to care for different types of flooring to reduce the chances of someone slipping. Even the most expensive cleaner can create a dangerous condition when applied to flooring for which it wasn’t intended. Other times, injuries happen because there aren’t procedures in place to make sure spills and other hazards are cleaned up promptly and completely. Failure to timely remove spills. The commitment to keep clean floors is an important one for any business. However, property owners – particularly those that invite members of the public onsite to shop – need to ensure unsafe cleaning practices aren’t resulting in the creation of a dangerous condition. Injury lawyers know proper care and keeping of business flooring does not need to be a guessing game. It starts in the planning phases of the building construction (knowing the type of business and anticipating potential issues) and then seeking information on proper floor care and implementing slip-and-fall reduction strategies. The Occupational Safety and Health Administration (OSHA) stipulates in 29 CFR 1910.22 that all passageways, storerooms, service rooms and walking-working surfaces have to be kept in a condition that is clean, orderly and sanitary. Businesses owe a responsibility to employees as well as to workers to inspect sites regularly and as necessary to ensure they are in safe condition, and that any hazards are corrected/ repaired before they are used again. When remedies can’t happen immediately, hazards have to be guarded to prevent people from using that surface until the issue is fixed. Develop written policies that specify employer and worker responsibilities to prevent slips, trips and falls. Select flooring material according to the work being done in the area, using flooring with a static coefficient of friction of more than 0.5 for high-risk areas. Training employees to identify slip, trip and fall hazards and how to prevent them through safe cleaning procedures, including placing caution signs or cones near a spill to warn workers and patrons of wet walking services. Clean floors and work surfaces as soon as they become wet. Use no-skid waxes in slippery areas, and soap that doesn’t leave any slippery residue. When carrying out wet or oily processes, make sure there is drainage on the floor. Clean just one side of a passageway at a time so there is still room for safe passing. Of course, different floor surfaces require different approaches, and it’s incumbent on the business to understand the specific guidelines that need to be followed for each. Some methods are known to spread the problem, rather than address it. For example, as the Stanford Environmental Health and Safety unit notes, slip-resistant coatings should be applied to areas that are known to get wet or be subject to frequent spills that might pose slip-and-fall hazards. To prove a business was negligent in a slip-and-fall incident resulting in injury, plaintiff’s attorney will need to show the business had actual or constructive knowledge of the spill. The condition occurred regularly, so the business should have anticipated it. When it comes to unsafe cleaning practices, our slip-and-fall accident lawyers in Miami would want to know whether there had been any prior injuries resulting from slippery floors after cleaning and whether employees were given proper training, supervision and materials.